For centuries, the cork had to be removed in order to enjoy a glass of wine—that era is over. The Coravin System keeps the cork in the bottle, where it’s been since it was ﬁrst sealed in the winery. Now you can explore your ﬁnest wines by the glass whenever you like, and feel conﬁdent that instead of oxidizing, the wine remaining in the bottle will continue to evolve naturally. 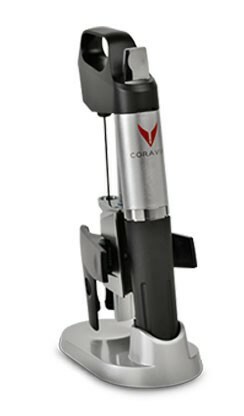 Click here to learn more about the Coravin system.